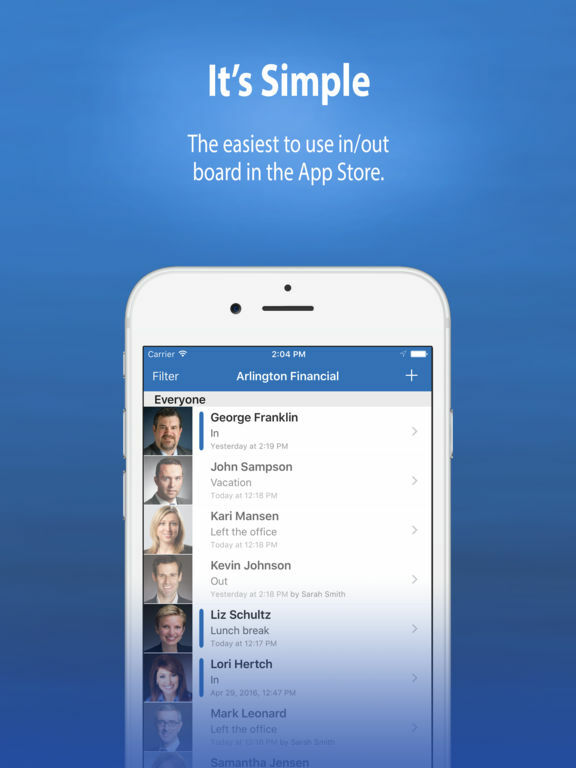 Simple In/Out is the easiest to use in/out board in the App Store. It is great for offices with people always on the go. 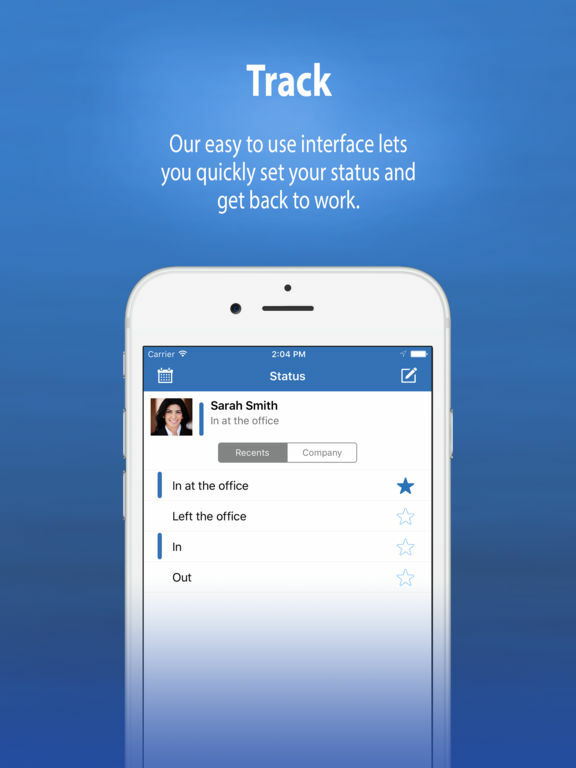 Our easy to use interface lets you quickly set your status and get back to work. 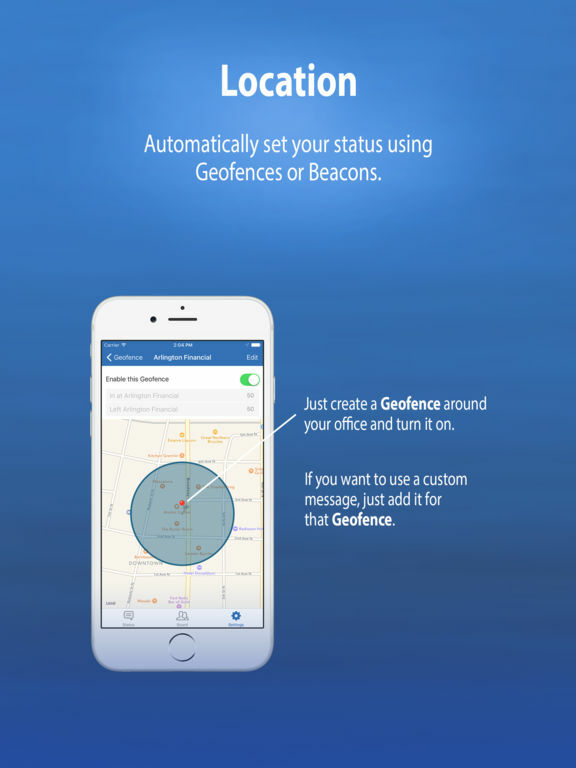 We also have the ability to automatically set your status using our Geofence and iBeacon features. 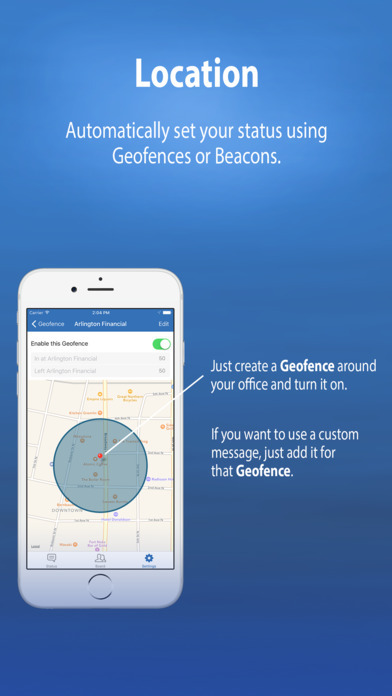 Just create a fence around your office and turn it on in the app. If you want to use a custom message, just add it for that fence. Just set it, and forget it! What could be easier? Our app is also connected directly to our entire suite of apps and services, so if you don't have your device on hand, you can still check on other people or set your own status. * iBeacons. Create an iBeacon using our FrontDesk app or purchase one from our store. * Push Notifications. 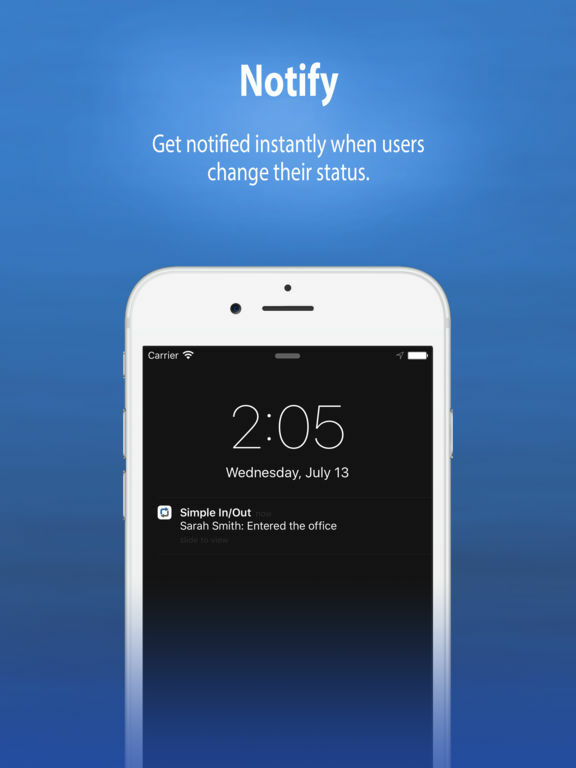 Get notified instantly when users change their status. * Status notifications. Want to be sure your status is getting set right, we'll send you a local notification each time we update your status so you can be sure. * FrontDesk - iPad app (separate download) is also available for common areas to quickly swipe yourself in or out. 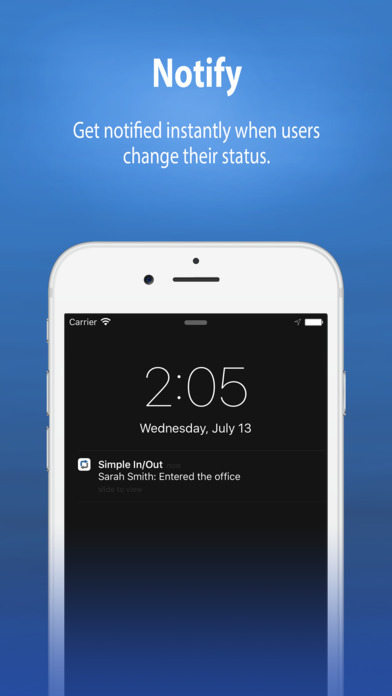 Simple In/Out offers a Free 45 day trial with all of our features available for use. Try everything out with no restrictions before committing to a specific subscription plan. All of our subscription plans are based on the number of users needed and auto-renew each month. All of our plans are available in your local currency for In-App Purchase. Subscriptions will be charged to your payment method linked to your Apple ID. 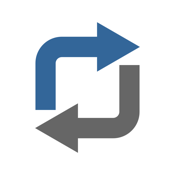 Your subscription will automatically renew unless cancelled at least 24-hours before the end of the current period. You will not be able to cancel a subscription during the active period. You can manage your subscriptions in Account Settings after purchase. We love hearing from our users and are always interested in what they have to say. Most of the features in the app have come from your suggestions, so keep them coming! **Continued use of GPS running in the background can dramatically decrease battery life. While we do not use the GPS actively in the background, it is helpful to know that location services can and do impact battery life.